What makes UVM music unique? 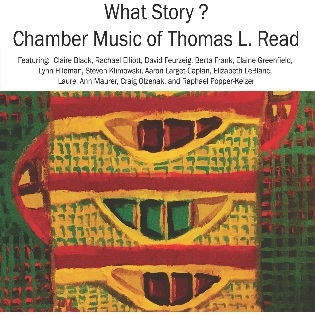 On May 25, Thomas L. Read's new album of chamber music will be released and distributed by the American Composers Alliance. What Story? will also be available as digital download from Amazon, CD Baby, and Spotify. The disc includes music for woodwinds, guitar, cello and piano. UVM Professor David Feurzeig and Affiliate Artist Steve Klimowski are among the performing artists featured on the disc. Production was aided by a University Faculty Development Award. Thomas L. Read studied violin, composition and conducting at the Oberlin, New England, Mozarteum and Peabody Conservatories with such noted musicians as Andor Toth Sr., Richard Burgin, Bernhard Paumgartner, Leon Fleisher, and Benjamin Lees. As a violinist he has been a member of the Erie Philharmonic, Baltimore Symphony, Boston Festival Arts and Handel/Haydn Society Orchestras, Vermont Symphony, and the Saratoga Festival of Baroque Music. Following his appointment as Assistant Professor at the University of Vermont in 1967, his innovative series of new music concerts and lectures (Symposium on Contemporary Music, held annually from 1968 until 1991), in addition to his activities as teacher, violinist, conductor and clinician, led to his reappointment as Professor of Music in 1976; Professor Emeritus, 2008. He continues to be active as a violin soloist and conductor as well as a composer.